On May 6th, Dirk Lehnhoff was elected president of Cooperatives Europe. 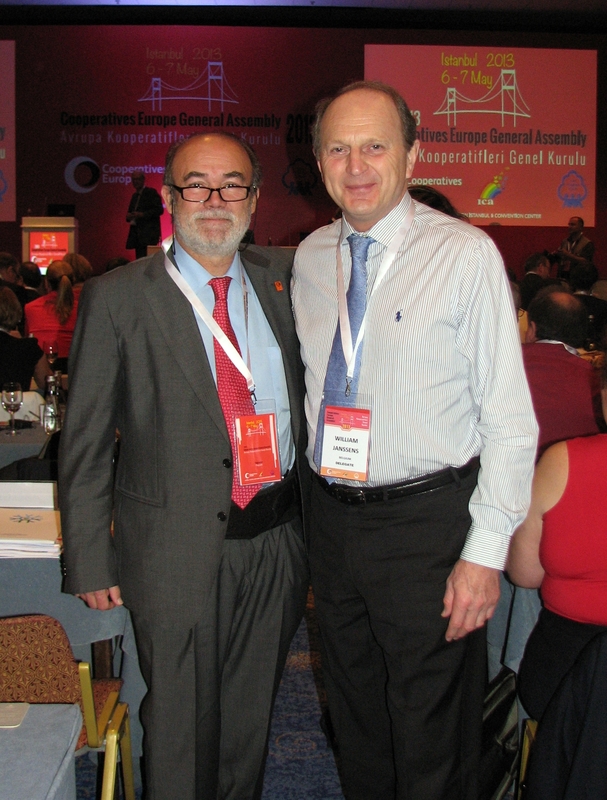 90% of the members of Cooperatives Europe participated in the elections and two thirds voted in the new president as well as the new Board of Cooperatives Europe at the 2013 General Assembly of Cooperatives Europe in Istanbul. Lehnhoff is currently a member of the Board of Directors of DGRV, the apex organisation of the German cooperative movement and responsible for the International Relations Department of DGRV. After being elected, the new president expressed his gratitude to all the members and affirmed: «We have to work all together in order to ensure that Cooperatives Europe raises the general public and political awareness, especially within EU Institutions. Thanks to dame Pauline Green, Etienne Pflimlin and Felice Scalvini for their leadership and consolidation of the European cooperative movement over the last three years». From the health sector, IHCO Chairperson Dr. José Carlos Guisado and Multipharma President Mr William Janssens participated at the General Assembly and at the Cooperative Leadership Roundtable held on May 7th. Participants agreed on the need to foster interecooperation among cooperatives and highlighted that there is room for improvement in terms of access to know-how which already exists in other enterprises.